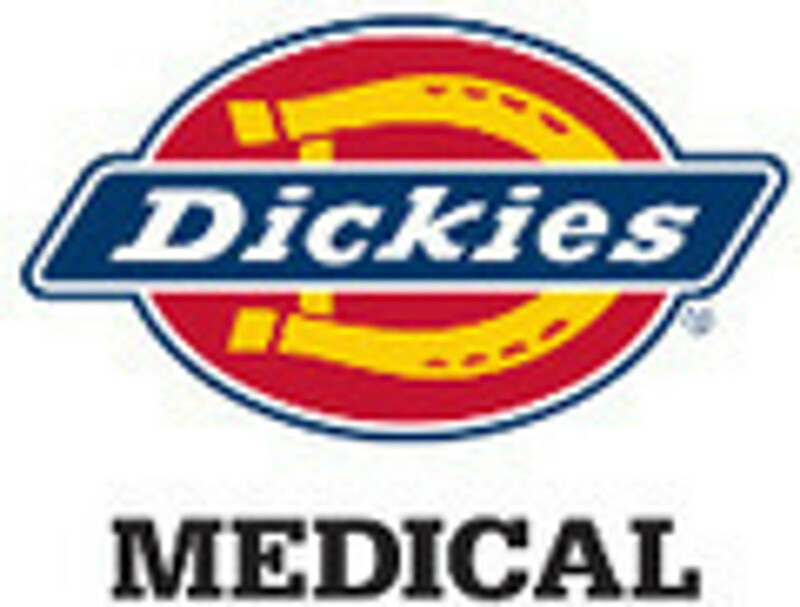 Dickies Scrubs by Dickies Medical. Scrubs by Dickies are inspired by sport, and designed for the way you work. Dynamix, Dickies Medical scrub fabric brings entirely new meaning to the term activewear for Healthcare professionals. Four way stretch, moisture wicking, and lightweight Dickies Medical scrubs are designed for the work you perform. Browse, shop, or just hang out - its all good when you&apos;re shopping for Dickies scrubs at Jens Scrubs. Inspired by sport, designed for the way you work. Dickies fabric are scrubs that bring entirely new meaning to the term activewear. Four way stretch, moisture wicking, and lightweight Dickies healthcare scrubs are designed for the work you perform as a healthcare professional. Browse, shop, or just hang out - its all good when youre shopping at Jens Scrubs. Dickies EDS Signature Scrubs offer the same great fit and quality you expect from Dickies, in a soft Brushed Cotton/Poly blend that feels incredible on your skin. This collection of Dickies Scrubs includes a basic scrub top, a mock wrap scrub top and a drawstring cargo scrub pant, all in a variety of vibrant colors. Dickies Everyday Scrubs are the perfect high-quality scrubs on a budget. Shop all Dickies healthcare collections and scrubs at JensScrubs.com. Dickies EDS Signature Stretch Scrubs offer the same quality and durability of your favorite Dickies Signature Scrubs but with a bit of stretch for maximum mobility. This standout collection offers a great selection of styles and colors for you to choose from. It Shop our selection today and save today at JensScrubs.com! Dickies Essence Scrubs are made with comfortable stretch fabric. This stylish collection has something for everyone. Choose from sporty V-neck scrub tops, modern mock wrap scrubs tops and fashionable drawstring cargo pants, or a myriad of other Essence Scrubs. Shop JensSrubs.com.com today for Dickies Essence Scrubs! Enjoy the softness of Dickies fabric combined with durability and rich colors. Dickies Gen Flex scrubs are made out of micro sanded stretch fabric that compliments any body type. Gen Flex Scrubs are made with detailed cuts and stitching to provide the ultimate fit. Enjoy the coordinating prints to mix and match your Dickies scrubs collection. Stay on the lookout for new Dickies healthcare scrubs collections being added to JensScrubs in the future. With the bonus of little to no ironing, Dickies Xtreme Stretch scrubs are perfect for the on-the-go nurse. This stylish new collection is made from a unique blend of Polyester, Rayon and Spandex, and feature 4-way stretch for exceptional comfort and flexibility. Cargo pockets, cell phone pockets, accessory rings and tabs add functionality to these perfect intense work scrubs. Shop all Dickies Xtreme scrubs at JensScrub.com.